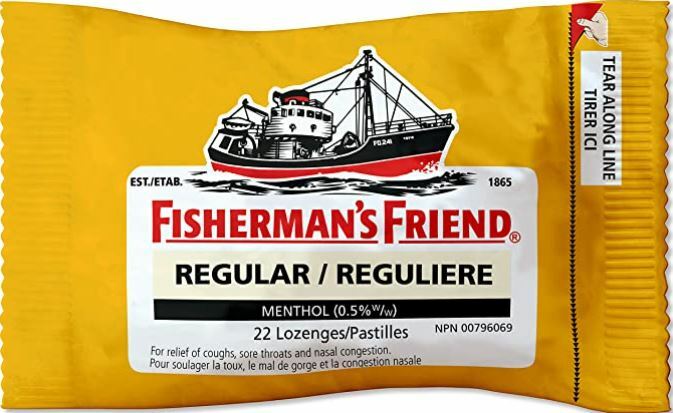 Fisherman's Friend products are suitable for vegetarians, vegans, Coeliacs and Diabetics (sugar free varieties). They are gluten free, wheat free and dairy free but they are not organic. They do not contain any of the following: rye starch, barley starch, oat starch, milk, preservatives, egg, soya, sulfur dioxide, nuts, gelatin or any animal origins. They are certified kosher. Menthol, Sugar, Liquorice powder, Dextrin, Tragacanth, Aniseed Oil.